After Jan‘s post earlier this week, I was moved by a comments to it, namely, the idea that it is, in fact, so difficult to talk about the future of the future, and, in particular, the good comment that “aren’t we always making the future?” I plain sense, I do think that we are always “making the future” in the process of doing just about anything; however, taken to its not-too-distant logical conclusion, this would mean that “making the future” is so obviously ubiquitous that it cannot — in and of itself — be special. I confess, that did not encourage me much. 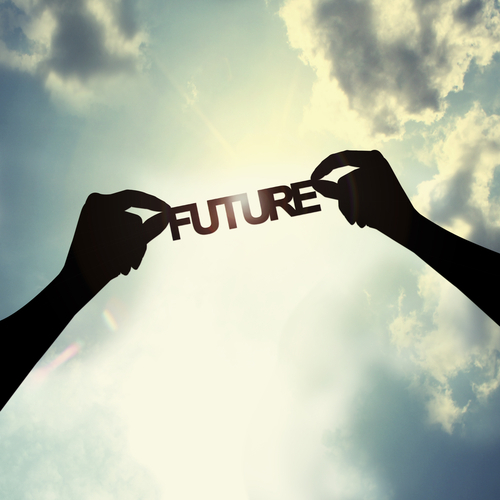 On the one hand, if doing the future is ubiquitous, then just “doing” and “doing the future” are synonymous (ack! nothing gained there!). On the other hand, if it is ubiquitous, is there any imaginable consequence of not conceiving of just “doing stuff” as explicitly the same thing and not some other type of thing as “doing the future”? It is the latter, not the former, that moves me, and to which I devote the next couple of paragraphs. It is from this vantage point that “the future of the future” might productively be discussed. There is another way too, of course, which my colleague and frequent co-author, Matthew Spaniol, may take-up later this week, namely, that the future of the future is to be found in Futures Studies wherein scientific portrayal of the future unfolds. This is tricky, though, and perhaps more so than at first blush one might expect. For example, the sociology of the future, did not get very far, in many scholars’ estimations. To not pull a punch: I guess they didn’t see it coming … ugh, I know. Back to my point of inquiry, “the future of …” is found everywhere. The future of work is a classic. The framework is used in artistic expression and in events all over the world. Heck, you even hear about the future of everything, from time to time. So, the future is constantly invoked in media and generally a provocative thing to include in a class lesson or yet another academic conference paper talk (check out #56 … ouch!). That said, what’s really at stake if we do not consider our daily “doings” (so to say) as “future-making”? (which is another way of talking about the future of the future — as in, is the future of the future limited unless we acknowledge, in some non-trivial way, that in doing we “do the future”?) That, at once, presumes that daily-doing is future-making, which I have no reason to doubt, and, also, presumes that daily-doing can be “done” without the reflexive nod to the “doing,” which need not be fully acknowledged as “future-making” (even if it is, which opens another interesting possibility, which is that the “doing” may very well not be “future-making,” but I’ll save that for another time). In close parallel to discussions that have been on this blog in the past, in particular, re: prototyping, and the idea that we are all prototyping all the time, curtesy of friend of the blog, dmf — what is at stake if we do not consider our daily “doings” as “prototyping”? I imagine the same, as above, applies — there is no real problem, of course, until this otherwise useful conceptual tool (i.e., that doing is just doing) fails us, in some cases, badly. That patterns are not Durkheimian in that they exist above us in some semi-etherial plain, but are the day to day outcome of our behaviors and institutions, thus, in doing, we make the future, either one similar to ours now or modified in some way. That in a Kuhnian sense of things, as anomalies mount, the status quo is questioned, especially in the process of a cohort shifts or power changes, and this too means future-making is — or, perhaps, should be — more than merely doing. … and it is upon the final point that I will rest: in not thinking of doing as future-making, the chief calamity we open ourselves to is the persistence of stasis. So, the future of the future is, perhaps, contingent, at least in part, on recognizing that we are always making the future. This entry was posted in 3-1, Future, International, sociology, STS, STS Gossip, Teaching, The Profession, Theory and tagged Sociology of the Future by Nicholas. Bookmark the permalink. Associate Professor of Sociology, Environmental Studies, and Science and Technology Studies at Penn State, Nicholas mainly writes about understanding the scientific study of states and, thus, it is namely about state theory. Given his training in sociology and STS, he takes a decidedly STS-oriented approach to state theory and issues of governance. I am currently preparing an abstract for New Orleans on 4S, about hegemony and ontology, an attempt to combine the Gramsci-Chantal Mouffe-Laclau line with STS, and rewrite “each other” key terms of hegemony theory and STS/ANT style ontology. The future in such a way would be based on how we “redefine” it today and stabilize the conditions of its existence. This work begins with the very category of the “future” as an empty meaning, and the fact that we need to consider what power relations trigger the very process of defining the notion of the future. Closing the meaning of this concept is a hegemonic movement which begins the very determination of conditions for the future. ” we need to consider what power relations trigger the very process of defining the notion of the future” wouldn’t this call for a kind of case by case ethnography, to see who does what (with what) and to what effect? And are there discrete movements when conditions get set in the doings of humans (unlike say code in a computer)? Yes, something like this! Case by case ethnography as a phronesis like teaching process. Old school, hegemony, marxists project were very to nomotetic, “big”, and than to dangerous. I am think about something like self-monitoring process of installing desired future. very good, do you know the work of Donald Schön? I love Schon’s work — especially a book of his from some time ago, 1960s?